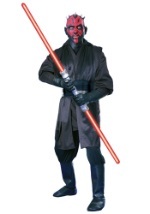 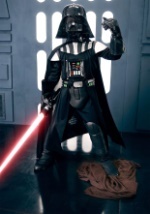 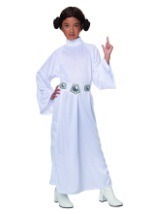 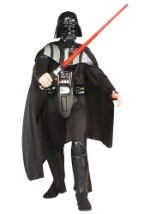 Add an element of mystery to any Star Wars costume with this exquisite velvet cloak. 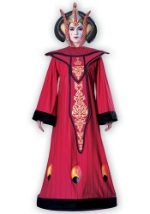 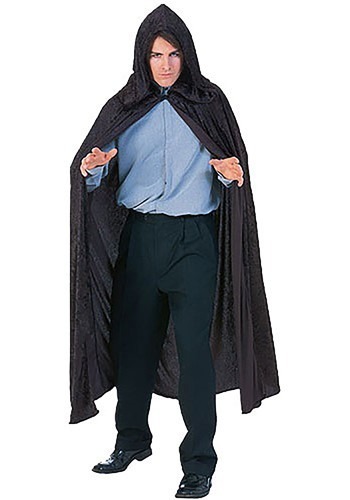 The cloak is made of black velvet and has an attached hood. 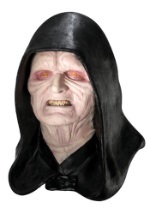 A collar is attached at the back of the hood and the cloak ties closed at the neck. 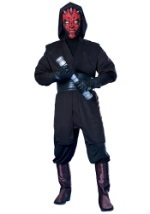 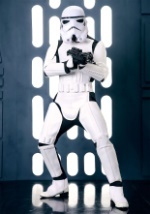 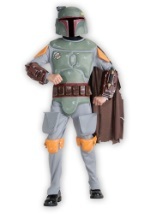 There is a slit on each side of the robe that can be used for arm holes. 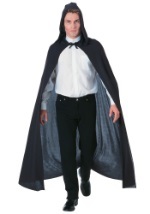 Cloak measures 63" long from hood to bottom and is a great complement to any Halloween costume.